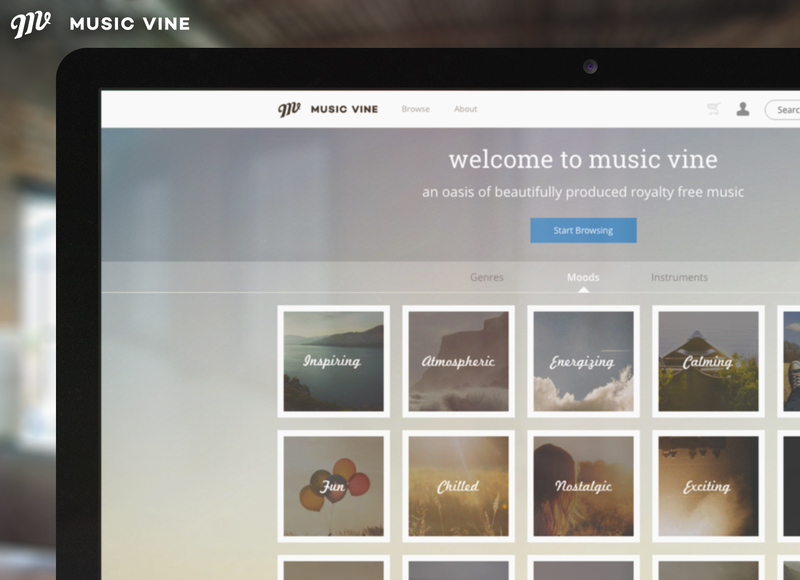 Music Vine is a new music licensing platform that’s been generating quite a bit of a buzz amongst filmmakers lately. 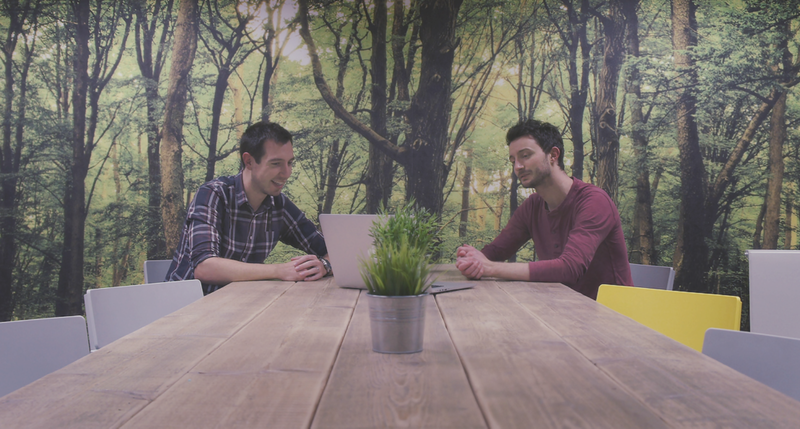 Over the last few days I’ve had a peruse through the site myself and have also had a chat with the site’s founders, Lewis Foster and Matt Russell, to learn about the story behind their venture. Hunting for the right music for film is notorious for being a headache-inducing process and attempting to find music that feels fresh and original while coming in within budget can be equally as frustrating. So I was curious — if not a little skeptical — to see how Music Vine broached these problems and how it faired against some of the bigger names in music licensing. 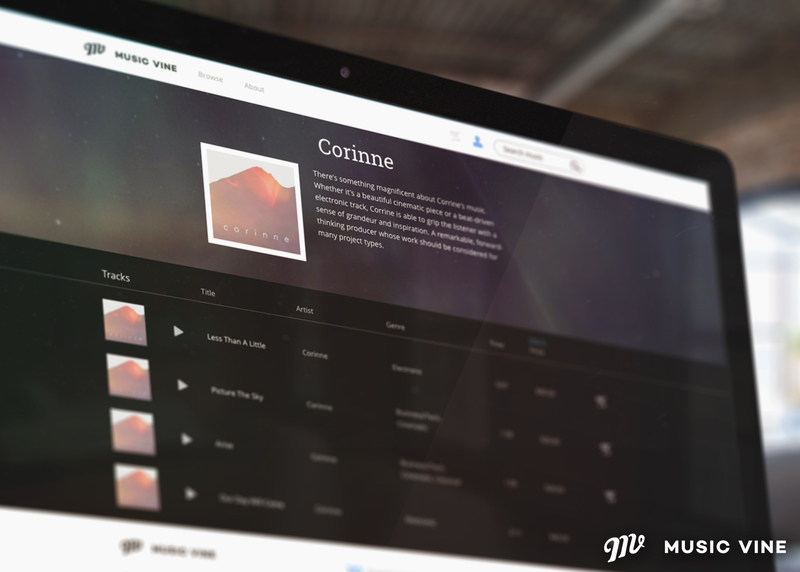 The first thing that struck me when arriving at Music Vine’s home page is that visually it’s very graceful. Music libraries generally are not known for their flair for aesthetics (usually quite the opposite) so it was a pleasant surprise to be greeted by such a clean and easy layout. Secondly, it’s very minimal, with only a lean spread of menus and a simple set of tiles that allow you to choose between genre, mood or instrument. So the initial impression isn’t one of groundbreaking functionality but rather one of refreshing simplicity and finesse. Having selected the “cinematic tile,” I then went on to sample some of the music itself. Now this is where Music Vine really seems to set itself apart. I listened through tracks by Josh Stewart, Richard Smithson and Corinne and was quite taken aback by the quality. The music not only sounds far from typical stock music, but goes beyond that and feels on a par with some of the most esteemed contemporary tracks out there. At prices sitting around the $40 mark for a web license, this certainly makes for an exciting prospect. Factor in Music Vine’s nifty filtering functions and curated collections and I begin to see why this platform is making waves. On all accounts I think Music Vine will continue to be a very welcome resource for filmmakers and deservedly so. They have distilled the process of searching for music down to something that’s very streamlined and intuitive, and the sheer quality of their tracks combined with the refined feel of the site makes for an experience that’s refreshingly enjoyable. For all the positivity that can be said, there are of course improvements that can be made. The site is currently lacking a ‘skip’ button, something that would naturally be very handy for quickly scanning through numerous pieces. A ‘favorite’ or ‘add to collection’ function would also be high-up on the wish-list for me as it would be great to be able to quickly create a saved list of all of the tracks that I think could work for a project without having to bookmark them individually. The chaps at Music Vine assure me that these items are on their radar and my only gripes should be put to rest very soon! 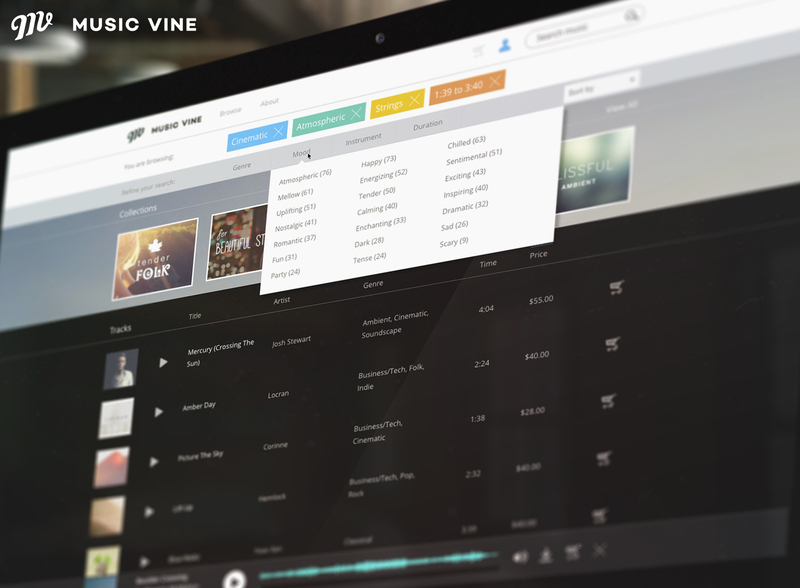 If you’re a filmmaker and often in need of quality music for your work, then Music Vine is a site you should definitely check out. 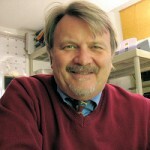 John has been involved in television production since 1966 where he studied Radio-Television-Film at the University of Texas. Later, Harms founded a company which began selling some of the first portable television production equipment from manufacturers such as Sony and Panasonic throughout the southwest United States. According to Harms, “Television production really became exciting because the equipment became affordable and portable—independent production took off!” Still later, he became one of those independent producers creating marketing videos for high-tech companies throughout the US. As more and more of his corporate work was being released on the web, he began to alter his production techniques to take advantage of the new venue.